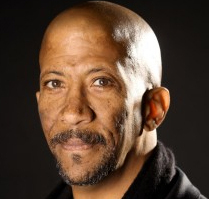 Reg E. Cathey recently won an Emmy for his work on season 3 of the Netflix Original Series House of Cards as ‘Freddy’ opposite Kevin Spacey and Robin Wright. He’ll next be seen in Hands of Stone opposite Robert De Niro and as a series regular in Robert Kirkman’s Cinemax series Outcast. This past summer Reg starred as ‘Dr. Storm’ in The Fantastic Four for 20th Century Fox and Marvel Studios opposite Mile Teller, Michael B. Jordan, Kate Mara and Jamie Bell. Other film and television appearances include Nasty Baby, The Divide, Alex of Venice, Banshee, Arbitrage, Law & Order: SVU, Lights Out, 30 Rock, The Wire, Oz, Everyday People, The Corner, Boycott (HBO), S.W.A. T., The Machinist, American Psycho, Se7en, Tank Girl, and Star Trek-The Next Generation. His numerous stage appearances include The Tempest (La Mama), The 8th (Manchester International Festival, Original Cast Album), The Shawshank Redemption (London’s West End, Dublin), The Green Bird (Broadway), Blue Door (Playwrights Horizon), White Chocolate (Culture Project), Talk (Obie Award, Foundry Theatre), American Buffalo (W.H.A.T. Theatre), Love’s Labor’s Lost, Timon Of Athens, The Taming of the Shrew, Hamlet, Macbeth, (NYSF.- Public Theatre), The Winter’s Tale (Williamstown Theatre Festival), The Cure At Troy (Yale Rep), Dante’s Inferno (Huntington Theatre), Henry IV Part 1 and 2 (California Shakespeare Festival) and Cato (Flea Theatre).